KMGN: I had never thought of looking for a place where you could make your own planner to specifications until this post. I am going to check them out. Read the blog to learn more. As most of you know I recently celebrated my 100th blog post! To coincide with this I got in touch with a company called Personal Planner about creating my own planner for my blog. Scrap pieces of paper are no longer (were they ever?) suitable for me scribbling down my blog ideas as well as important appointments so I was on the lookout for a planner. I could find nothing suitable in the shops so I was ecstatic to find out I could design a planner exactly how I want it online. The process was very user friendly and were many different options for covers and internal layout. 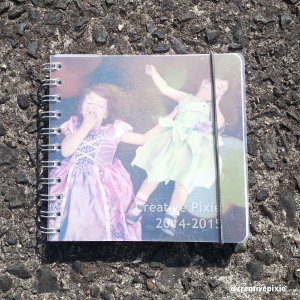 The finished planner package arrived after 2 weeks – just as they had predicted.